Did you make your list of fears? Of benefits to a new financial life? Have you heard the term “finding your voice”? 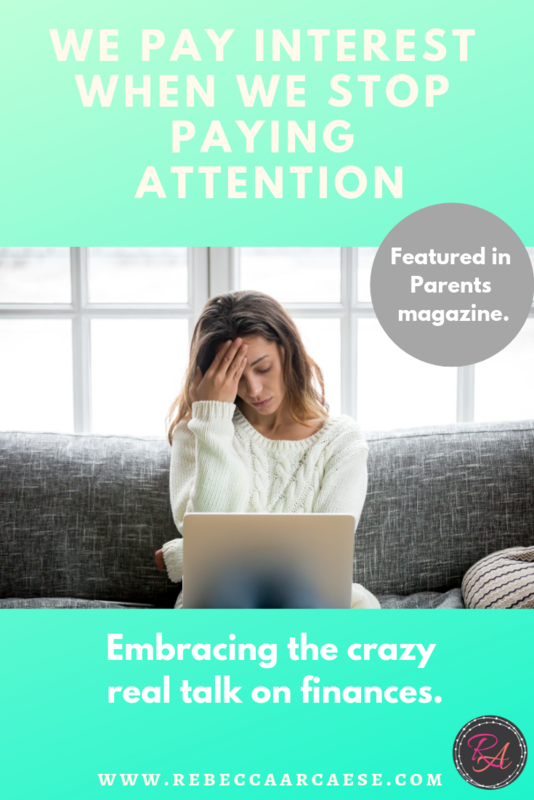 In many cases it has to do with self-care. It is an important part of self-care. It is also an important part of your financial life. How can we move our fears to goals and goals to actions? Find your voice! Tell on yourself – When we went on a get-out-of-debt campaign I rallied my tribe. With a newborn baby, no job, and moving there was plenty of support needed in more areas than one. One of the biggest parts of our journey was the honesty that we took in telling those around us. We were in debt. We did not need to give lengthy explanations of how or how much. Although I will share about details of mentors in your life later this month. If you have a spouse, I encourage you to come up with an agreement of what, how much, and who to tell. Your greatest support will come because your tribe knows what you are doing. Your tribe will not tempt you with expensive trips or outings that you have taken out of your budget. They will help you celebrate your wins (perhaps by giving you free childcare or a 2 for 1 dinner coupon). Find them. Ask them to help you stay on the path. Tackling these three areas of thought are important to address before you pick any class, financial process, or company. They are absolutely paramount to debt-free success. It is what will keep you debt free for the long haul. If you have read my previous blog posts, I have talked a lot about coffee. I love the atmosphere of a great neighborhood coffee shop and the smell of fresh brewed coffee. For three years, I gave up coffee in a coffee shop. I bought a coffeepot from Goodwill and made it at home. For three years I did not purchase a single coffee from outside my house. All in. Whatever it takes. Do – not try. I have now spent a credit card payment on coffee. That is if I only stick to one latte a day! We all leak money. Even if you think you do not. The small amounts can make up a big amount when added up monthly/yearly. So stay tuned next week for how to plug the leak. Are you ready yet? Ready to go? To make a difference in your life and your family? We will be starting to share a practical process to put into place. Now is the time to get serious about your level of readiness. 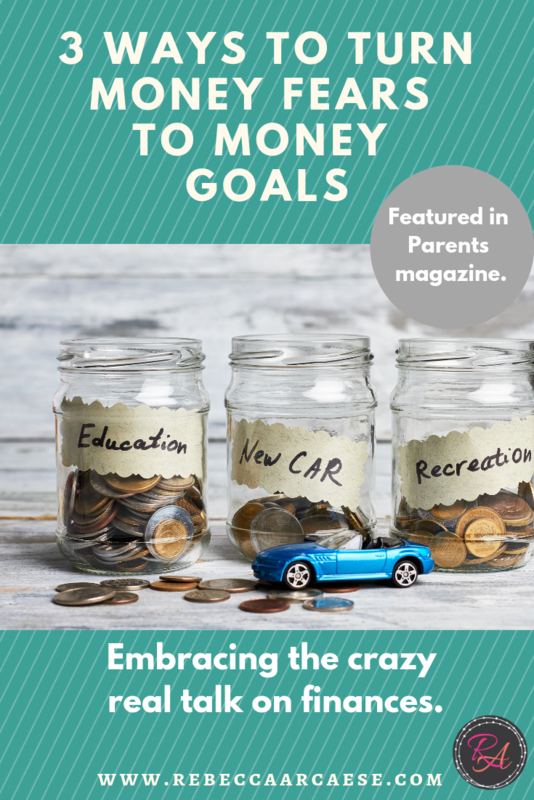 Money talk or lack of it from our childhood can mean we just need a little help to get started. Counselors are great to help you overcome past hangups regarding money and unifying language for you and your spouse. Visit us on Facebook for a few interviews of women that have made the changes with their spouses in the area of finances. Money. It’s a bad word to some. Money is not emotional. How we deal with it or do not deal with it makes it emotional. My husband and I never “intended” to go into debt. We just stopped paying attention. This is the harsh reality. We filled our life with stuff and big dose of pride We had two big jobs. We did well. We had a house that we did not need and expenses we thought we did need. It was all “under control”. Do you ever felt that way? We have good jobs. We do okay? That may be the factual truth. “Okay” is relative. Our “okay” was relative to the economy and the environment. The change in the economy and our circumstances dictated our urgency to deal with our finances. Are you ready to talk before something dire changes your “okay”? It could be a small bill that has to be paid by credit card then turns into 3x the amount when interest takes over. This is not meant to stress anyone out. If you are still reading – remember we agreed to speak honestly. 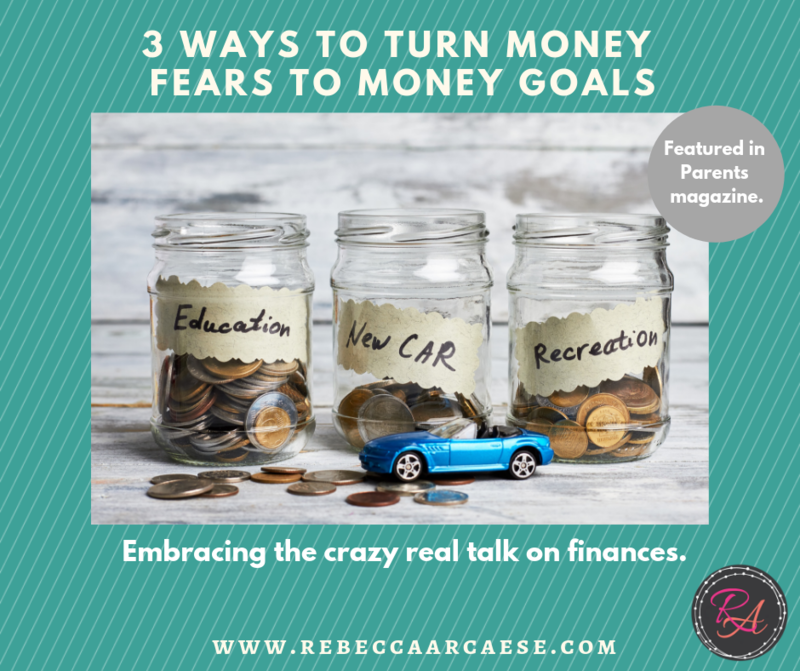 What are the three things that scare you most about diving into finances? For us, we simple did not think we needed to “think” about it. We did not need a plan. Everyone needs a plan. The thought of a huge document with points of investment, savings, and a full detailed budget is overwhelming. We are not talking about going this deep – right now. Can you make a list this week of the things that scare you about thinking about finances? What could you do if you could get a handle on your bills? Maybe you, like us, are in the season of “okay”. Perfect! Let’s talk about it now. Honest conversation of money should not be a thing of embarrassment or guilt. Changing our mindset can change our family. Use your list of fears and benefits to starting the talk on money. Continue to focus on shifting our mindset. Mindset change will help us take interest in our interest so we can stop paying for our lifestyle twice (or even three times!). Move into practical tips and steps…but we have to be willing to be honest first. With ourselves and those around us that can surround us with support. Visit us over on Facebook to find a helpful worksheet to identify how you are feeling about talking about money. January seems to be the month to talk money. Getting ready for tax season, New Year’s Resolutions, budget time….it is all good. But let’t be honest – we know we mostly want to run and hide. 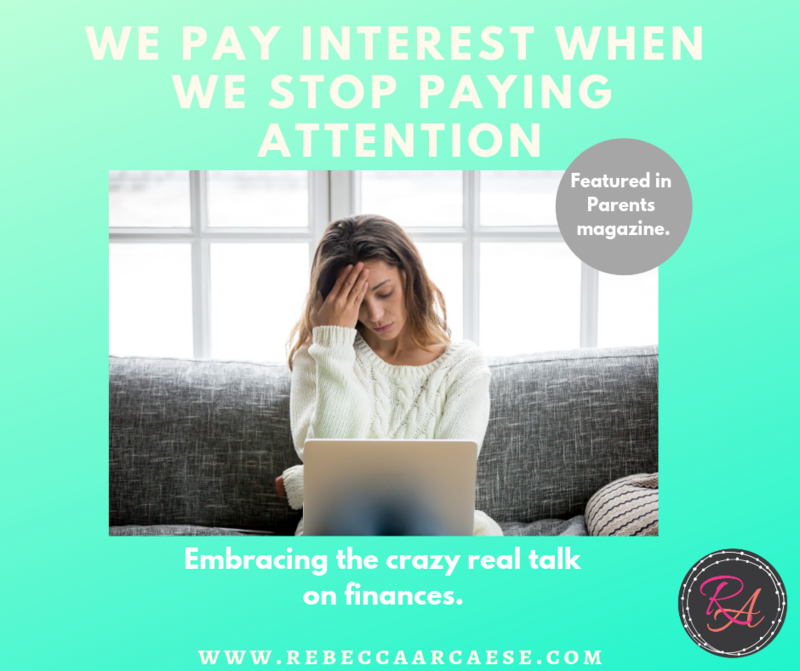 Do you find an excuse, any excuse, to not get real on finances? Why is it that it is the one pit we will continue to keep in our life? We can eat more salad, join a gym for free this month, or give up electronics on a New Year 30 day fast…..just as long as you do not talk money. Why? Because when you change your mindset on money you will open up a whole new world to dreams you thought were not in your reach. Believe me when I say, this is the last subject I would choose. Why finances and money when I am not a financial planner or even an accountant? Because I have been there, done that, and stayed out of credit card debt for 14 years. Why now? Last year, a fellow blogger did an interview when they asked if anyone would share their story on getting out of debt. (You can read that here). Who knew the door that article would open. Months later I was contacted by Parents magazine for an interview on credit card debt . You can read that article here. Many people in our friend and acquiesce sphere have asked us to show them how we did it. The steps. The “1-2-3 Bam I’m debt-free” program. The number one reason why those who have asked us how have failed – mindset. Too harsh? No. It is honest. I can say it because I understand the place where debt consumes your entire life- thoughts, dreams, time, emotions and can take over your marriage. It is a money pit. It seems I can not escape it. I am always happy and willing to share our story. If you have read any part of my blog, you know that I believe that your story matters. My family’s story on debt matters. It just is not pretty. It is not plug-in-play. It is not easy. You CAN do it. The time is now . These two different interviews impressed upon me the importance of the willingness to talk about money in a real way. 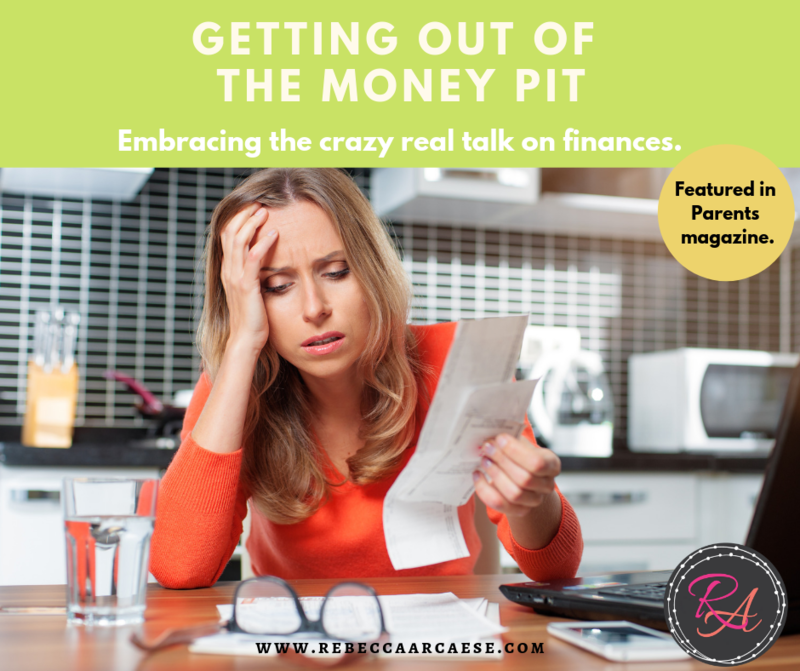 Debt can lead to marriage issues, health issues, and so much more “yucky stuff”. Will you join me in this journey to consider a new way of life? I am not promising you a program that will work for you. I am promising you honest questions, encouragement, and stories of how we made the shift. How our world is so much different now that we are not afraid to answer the phone or open the mail. Bill collectors are not encouraging. 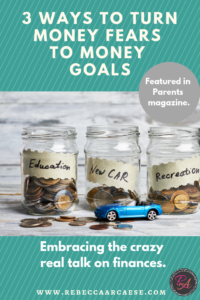 Since the two articles are interviews, they can not go into as much detail or express all my emotions about the stages of our get-out-of-debt journey. So the next few weeks I will break down the emotional journey to prepare your heart to make the same journey. If you are willing, join me. I will encourage you in honest and real conversation. There will be lots of freebies and videos. Please join us on Facebook and Instagram to engage in the conversation. IF you ask the questions, I will answer from my journey and get you a resource when possible. This is an important conversation. It is not meant to rack you with guilt or consume you with embarrassment Join me in taking that out of the equation. It is what it is right now. You can change your circumstance. You are not alone! I would be honored to walk along side you in this journey. 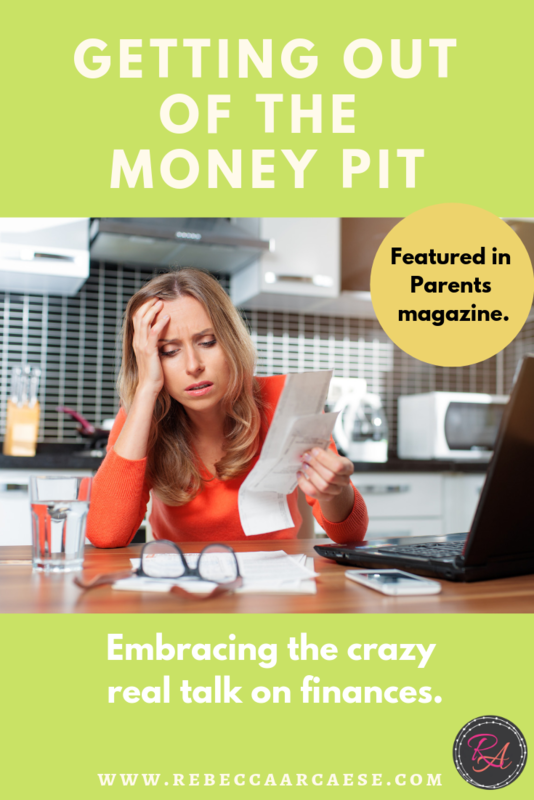 Let’s get out of the money pit and fill in the hole – permanently!